Hernando Torres was with us since he was a foal, arriving at the yard in 2008, and was a real stable favourite. He won twice for Graham Gibbons and twice for Anna Hesketh. His first win in 2017 was on the sand at Chelmsford in February for Joanna Mason when he won with plenty in hand. 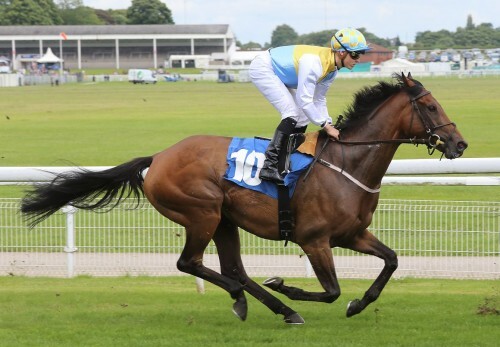 He was a winner again at Hamilton Park in July when Nathan Evans rode him to victory. Hernando got on very well with Dilys's dog Harry and they always greeted each other before and after morning exercise.